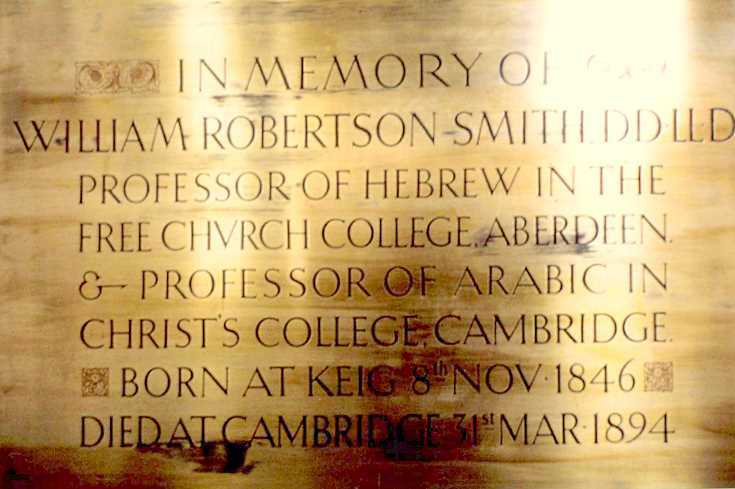 Plaque dedicated to William Robertson Smith, Professor of Hebrew at Aberdeen Free Church College and later Professor of Hebrew at Christ's College, Cambridge, born Keig 1846, died Cambridge 1894. There is also a "blue plaque" on the wall of the former Free Church College in Aberdeen, which sits at the junction between Union Street and Alford Place, and is now a night club and bar. See also images 1091 and 1088.